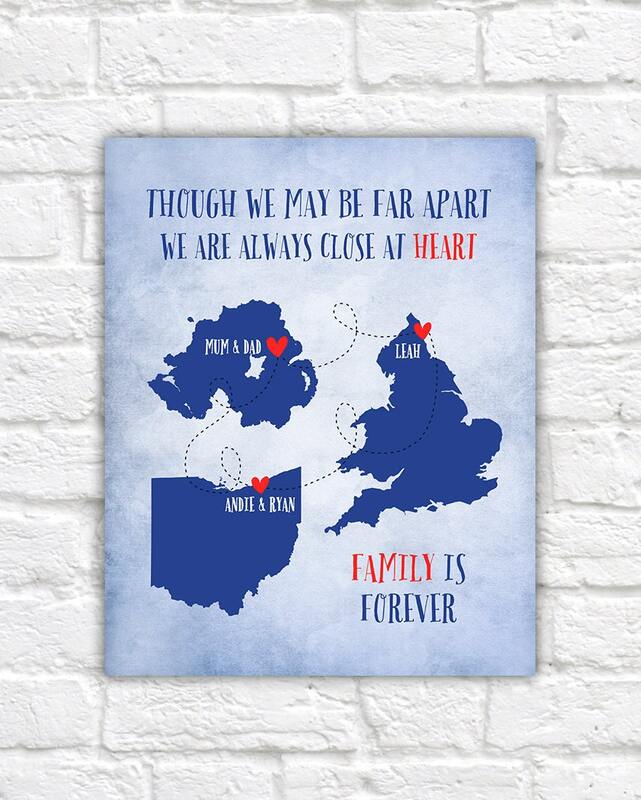 Custom Gift for Long Distance Family Relationships! Art Print - Excellent gift for loved ones living far away! Hearts sit on top of three maps of your choice, with as many hearts as you like (Please contact me if there are more than 3 per map) At the top of the print is a lovely quote. Next to each heart is the name of the person living in that location. 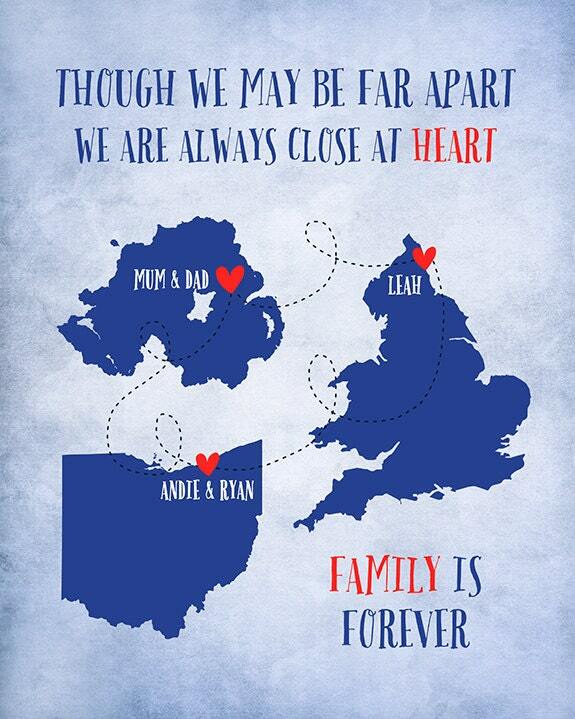 The theme of this print is "Long Distance Family" but can also be used for any occasion. Choose your colors! Example is an light blue "textured" background. Please note the texture is not an actual texture, this is just an effect. Want a different color? Want a solid background? 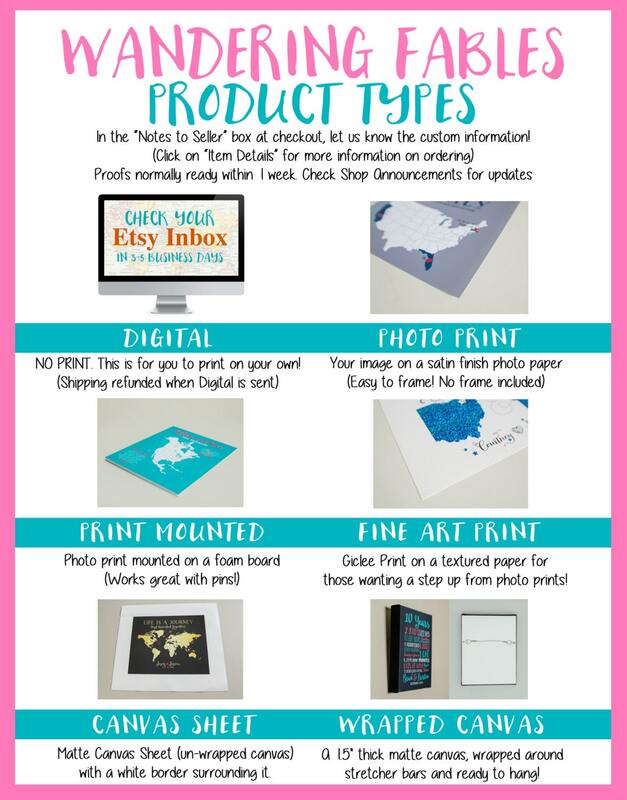 Let me know at checkout! 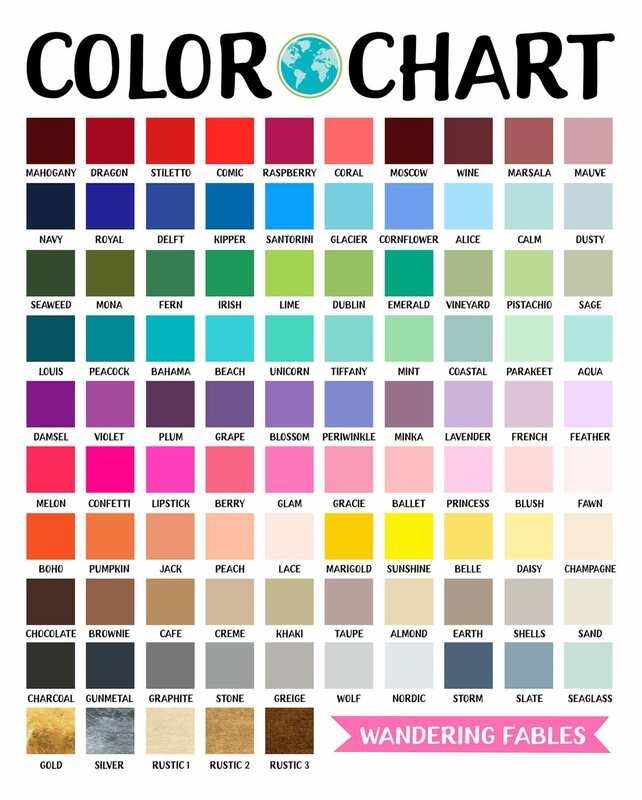 See color chart in image 2 for examples.